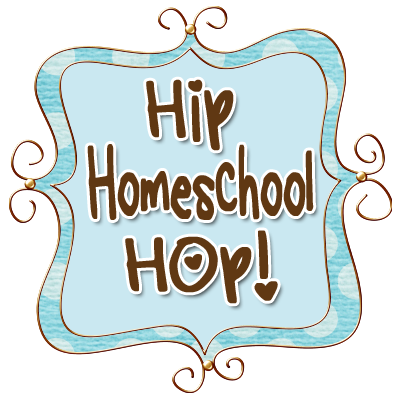 This post is a companion piece to my guest blog post over at Homeschool Convention today. Hope you check it out by clicking here! This fiery flashing of metal upon metal? Can we sharpen one another as husband and wife, or will we shatter under the blows of forceful wills clashing and sparking? I’ve been described as sharp before. Maybe in manner or wit or style or intellect — or maybe in tongue. When I was younger, the occasional flaring of my quick temper prompted an object lesson from my father that I’ve never forgotten. At the time I knew it was significant. I knew it was wisdom. I knew that it was true. I just didn’t know how to apply the lesson — then. He explained how important tempering is in making a knife blade, and that my temper was an important part of me, but that I needed to manage it. I understood the importance of what he was saying, but in my youth and inexperience, I did not really know how to apply that to my life. I mistakenly thought temper was a combination of properties in the metal. . . I didn’t realize it was a process. And so I tried to change myself — to change my internal properties, not realizing that I was being changed all along by the process of life. Tempering at higher temperatures results in a softer blade that will be more durable and less likely to snap off, but will not hold an edge as well. Tempering at lower temperatures yields a harder knife that will stay sharp longer, but it will also be more brittle. Knives that will see a lot of abuse need to reach higher temperatures to ensure that the blade will be flexible enough to avoid snapping during heavy use. How you temper a knife blade will determine how that knife can be used. If you want a knife that is durable, you temper it at a higher temperature, but you will need to sharpen it more often. And how do you sharpen it? You have to swish it across the steel, breaking a bit of metal from the edge each time, to create a sharp, narrow, useful blade. So, we really are refined in the fire. Our temper is set. Our hardness, durability, usefulness is established in the heat of adversity. And always the constant sharpening, to keep us useful, effective. . . sharp. So yes, God knew what He was doing when He put me with this man — this sometimes stubborn, occasionally-annoying man. He knew that I would need sharpening from time to time. And oh, how this man has kept me on my toes. Never a dull moment. I’m never bored with him. He has kept me sharp. Given me an edge. But, by the grace of God, perhaps I can be useful for some service — only He knows what that is, but I’m willing to find out! Have you been placed in a situation or relationship that has required you to be sharp? Have you endured the heat in order to become strong? Have you felt your edges fall away as you have been struck again and again by the sharpening process? Take heart — you are more useful, durable and fit for the Master’s service! And if you are in a marriage where sparks fly — well, that is a good thing! Become tempered through the heat of adversity, and then the sharpening will be useful and beneficial. The pain of the process isn’t so great when you know there is a purpose. Use your sharp, durable edge to complete the purpose that He has designed for you! The force of metal upon metal has sharpened us both. And when I feel the energy start to wane, feel the magnetism faltering, fear the chemistry is gone, he somehow manages to stir things up and make the sparks fly once again! In fact that ornery man just peeked around the corner, with something behind his back — roses and chocolate. . . and he brought me my favorite flavor cappuccino, and picked up my favorite snacks at the store on his way in. . . I must have been on his mind. For I keep him on his toes, too — he’s really sharp! The sparks still fly! The same sparks that used to annoy, create a flame of a different sort these days. Here’s hoping that some sparks will fly in your marriage, as you and your husband sharpen each other, causing each other to be useful and effective. You’re one sharp couple!